4Sync - Boost Your PC. 4sync is a cloud storage for file synchronization between computers, mobile devices and web. 4sync provides users with 15 GB for storage of pictures, music, video, documents and other types of files. 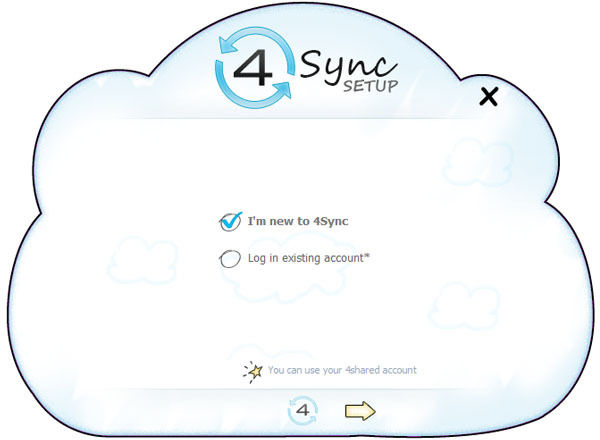 During the registration process with 4Sync's desktop application, the user is asked to create an account by providing an email address and password. Users email address acts as a username to access the web version of 4Sync. User is able to get additional 5GB after email confirmation. After the program is installed 4Sync folder appears in “My documents” which looks and works as a standard Windows folder. After a successful uploading of the file the user gets a link which allows sharing files and making them public or selectively viewable to others. All uploaded files are accessible during 180 days since the moment of the last visit to the account. Download Boost and enjoy your PC. Remove 4Sync from your PC. To the right of the list item, click the Uninstall button and Boost will completely remove 4Sync from your PC. Use Add/Remove Programs control panel in Windows makes to uninstall 4Sync. Follow the appropriate instructions below to use this control panel. Select 4Sync from the list of programs, and click Uninstall. Alternatively, right-click the program and select Uninstall. Select 4Sync from the program list, and click Uninstall. Alternatively, right-click the program and select Uninstall. Select 4Sync from the list of programs and click Remove. Boost helps you remove 4Sync and optimize your PC.